Here are this weeks deals at Target! Remember that at Target you can "Stack" manufacturers and store coupons on the same item. Be sure to go to Target.com and print your target coupons. Also, sign up for Targets Text Alerts to get great coupons sent right to your phone! FREE Zantac Sample! HURRY! Won't Last! This one was gone way too fast the last time it went up. Hurry up and get your FREE sample of Zantac! Available in e-book format also! Share Your Opinion, Get Paid! i-Say is a community of dedicated individuals comprised of hundreds of thousands of people all interested in achieving one goal - sharing their opinions. i-Say panel members take surveys, create polls and help shape the products and services we all use every day. Dr Seuss up tp 70% Off! Get Dr. Seuss up to 70% off at Totsy! Make your little one a resident of Seussville in quirky and adorable clothing from Dr. Seuss. With characters taken right out of the classic children's books, this selection of bodysuits, long underwear and hoodies will delight your little Dr. Seuss fans. Fits infant and toddler. Not Too Early for Christmas! HURRY! Need Back To School Clothes? Turn Your Summer Pictures into Canvas! Now that Summer is almost over, I am sure you have lots of great summer family pictures that are just stored on your memory card or hard drive. Why not turn one into a beautiful canvas print for FREE! I have gotten 2 so far and love the quality! These make great gifts as well! Go through Canvas People and get a FREE 8x10 Photo Canvas or $50 towards any size canvas! FREE Oikos Greek Yogurt Sunday! Don't throw away your paper, look on the last page of Parade magazine inside your Sunday paper for FREE Dannon Oikos Greek Yogurt (up to $3 value). I have found that about every other Parade mag has the coupons in them. So if your buying a paper at a store or box, make sure to check the Parade mag for the coupon before buying the paper for that coupon. Thanks Mojo Savings for the tip! Free Samples For Women Selected by Women! Account and you can cash it out when you get $5 saved up! Here is a look at this weeks best deals at Rite Aid. Be sure to watch your Video Values for August and print your coupons! Here is a look at this weeks deals at Walgreens. There are quite a few good deals this week and a great scenario to help you get the most out of this week! Get Your $2 Puppy Chow Printable Coupon! HURRY! I am a Mom and have looked forward to school starting all summer! Being a Work From Home Mom, it is hard to work on my website and keep up with a 5 year old. Now that school has started, I actually have some time to myself again! I found a great website for Moms called CafeMom which is filled with great information, great advice and a great way to meet other moms who share the same interests. Check it out here! If you are not a Swagbucks user, you should definitely give it a try! **It is MEGA Swagbucks Friday! That means you have a better chance at getting high value Swagbucks for your searches! You can also earn Swagbucks through special Swag Codes that are hidden online. Shop in the Swagstore! You can redeem your swagbucks for all kinds of neat things! The gift $5 card for Amazon are the best value costing only 450 Swagbucks! Here is a look at the CVS deals 8/21 - 8/27. I could not find anything free this week but there are some good deals. If you have rainchecks, this week would be a great week to use them. Remember to scan your CVS card at the red coupon machine in the store so you can get your CVS coupons! Visit the coupon center this week for a $3 off Any $15 stomach remedy purchase. Also, don't forget to get and use your Green Bag Tag! Extreme Measures - Newspaper Theft on the Rise! 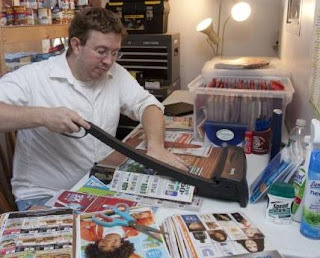 My Coupon Friend, Nathan Engles from We Use Coupons, was interviewed for USA Today. Please take a moment and read this article here. The article is about how newspaper theft is on the rise. Nathan is an example that you don't have to steal to get great deals! My favorite quote from Nathan was "It looks like a meaningless little piece of paper," he says, "but it's changed my life in ways I could have never imagined." I have found that organized couponing is essential to saving money at the stores. In order to really make the most of your couponing, you need to have a way to organize your coupons. I use a binder system. I use a Case-it binder with a carrying strap and 9 slot baseball card sheets to put my coupons in. I have found a few places that you can get starter kits and other items to help get organized. I have also found a few great resources for purchasing newspaper insert coupons and full inserts. Get In On The Daily Deals! There are a lot of daily deal websites popping up. It is best to take advantage of these websites and sign up for your daily e-mail for each one. You will be surprised at how many great deals are out there on a daily basis! If you don't have e-mail notification, then you may miss out. I have scored movie tickets, concert tickets, free movie rentals, and more by using these daily deal websites. Although, they may not have a location where you live, choose the closest. You will find that there are a lot of online deals that are good anywhere or for major retailers that are available anywhere. Winn-Dixie Stores, Inc. (NASDAQ: WINN), today announced that flu vaccinations are now available in all Winn-Dixie in-store pharmacies to help prepare guests for the upcoming flu season. Guests will receive the flu vaccine for the discounted rate of $24.99 when purchased using their Winn-Dixie Customer Reward Card. *HOT* $0.75 Waverly Printable Coupon! Hurry up and print your $0.75/1 Waverly Printable Coupon here before it hits the print limit! This one will not last long! Here is this week's top 5 Deals at Publix. Publix sales in the metro Atlanta area run Thursday-Wednesday, with all other Publix stores running Wednesday-Tuesday sales. Publix doubles coupons of .50 cents or less everyday. There are no limits on how coupons Publix will double in one transaction. Publix accepts competitor coupons! Please ask your store's customer service desk who they consider to be competitors. Mine are Kroger, Super Target and Food Lion. You can combine 1 manufacturers coupon with 1 Publix coupon OR competitor store coupon on the same item. Publix offers a Mystery Coupon Item or a Penny Coupon Item on Wednesdays & Thursdays depending on when your ad comes out. 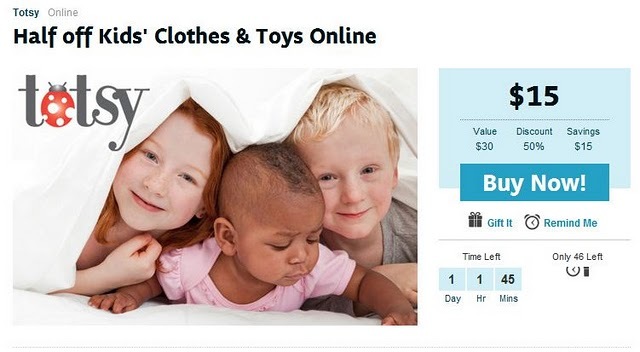 This item is available for .01 cent with a minimum purchase of $10 AFTER coupons. Some stores require the coupon paper ad, some do not. Please ask for details at your store! Here are this weeks top deals at Food Lion. Food Lion allows up to 10 "like" coupons per shopping trip. Be sure to sign up for Food Lion e-mails so you will get FLIPs (Food Lion Internet Printables). Also, be sure to check out the e-coupons that are available on the Food Lion website. You cannot "Stack" coupons at Food Lion. That means you can only use 1 coupon per item. That means that you have to choose one or the other. Lowe's Foods doubles coupons every day up to $0.99 Value. They double 20 coupons per day. Read more about their policy here. Here is this weeks deals at Harris Teeter. After a long week of Super Doubles, I was ready for a break. However, this weeks looks great so I will be making a trip back to Harris Teeter tomorrow! Harris Teeter doubles coupons every day up to $0.99 value. They have a limit of 20 coupons doubled per day with a limit of 3 "Like" coupons/items. They also limit printable coupons to 2 identical per day. Here are this weeks deals at Bi-Lo. Remember that the new coupon policy states that you can use "Competitor" coupons and stack "Store" and "Manufacturer" coupons on the same item. They will also double up to $0.60 (some stores double up to $0.99) everyday. They also have a limit of 10 "Like" coupons per trip. Right now you can get a $30 Totsy voucher for only $15 at BuyWithMe! Totsy always has some AMAZING deals - I have purchased from them several times! 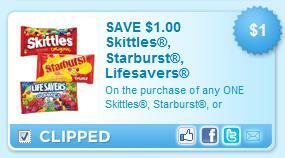 *HOT* $1 off Skittles, Starburst or Lifesavers Bag! This HOT coupon is back!! This $1 off any one Skittles, Starburst or Gummy Lifesavers bag coupon should get you some super inepensive candy to curb that sweet tooth! Right now both the Skittles and Starburst are only $1.50 at my Kroger store so guess what I’ll be snacking on tonight? HURRY because this never lasts long!! *HOT* $1 off ANY Minute Maid 10 Pack! 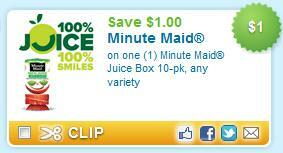 There is a new coupon available on Coupons.com for $1 off ANY Minute Maid 10 Pack Juice drinks! If you have a Harris Teeter nearby, they have the Minute Maid Water Beverage 10 pack for $2.79. Use the $1 coupon doubled and get it for only $0.79!!! I have not seen any Minute Maid juice box coupons in the past so this is a great RARE coupon! Print it HERE before it is gone!!! *HOT* Win a Memory Foam Luxury Bath Mat Back To School Giveaway! Make stepping out of a bath or shower just as refreshing as stepping in with this best-selling bath mat. The Microdry fabric top is super soft and absorbs water twice as fast as other materials to keep you dry and cozy. The generous ½" memory foam fill cradles your feet to offer ultimate feel-good cushioning. A slip-resistant base grips a dry bathroom floor firmly for your safety. I was given a fabulous opportunity to try out and review the bath mat and our whole family loves it! I immediately put it in our bathroom and started trying it out right away. It is so incredibly soft and luxurious! I find myself standing on the mat every time I go into the bathroom because it feels so good! And the fact that it is slip resistant and absorbs moisture are added bonuses! It lives up to it's claims! If you are looking for a great wedding gift, Christmas gift or even a gift to yourself, this is worth it! You can find these at Bed Bath and Beyond! *Disclosure: MindsInSync Inc. (representing Microdry) has offered to sponsor this giveaway. No compensation was received for this post. *HOT* Hallmark's Confidence Care Package Back To School Giveaway! A big thanks to Hallmark for sponsoring this awesome prize for the Back To School Giveaway! I was given the opportunity to review the Confidence Care Package and love it! 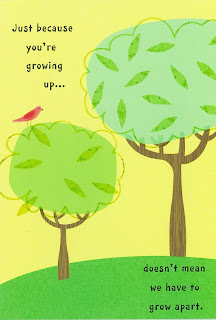 The Hallmark cards are a great way to show care and love. My youngest loves the ladybug case and thinks the note cards are sweet! And my husband recorded the book and my youngest loves it! With backpacks full of new pencils, binders and glue, kids might think they’re ready to take on the first day of school. But, sometimes kids need more than school supplies to face the exciting and challenging situations the upcoming year holds. That’s why Hallmark has created a back-to-school confidence checklist! Let them hold onto your words. Kids often get embarrassed when parents say “I love you” in front of their friends. Think about sticking a card in their backpack or inside a textbook, so they can find it later and hold onto it all day. Surprise your child with a lunchtime delight. Fruits and veggies will help a kid be physically fit, but don’t forget about a child’s emotional wellness. The unexpected “I love you” or “good luck” will let your child know you’re by their side, even after they get on the school bus. Pass the encouragement bug around your family. 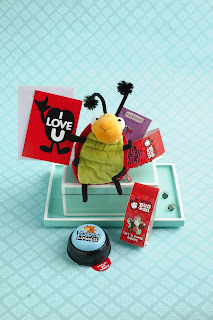 Challenge the entire family to support each other by passing around the encouragement bug — Hallmark’s Bug ‘Em. One person starts by filling Bug ‘Em with treats, a coupon to do something nice (e.g., make their sibling’s bed) or a kind note of encouragement, and then leaves Bug ‘Em where the recipient will find it. Once the recipient finds Bug ‘Em, he or she is charged with surprising another family member and spreading the encouragement bug. We have done the homework for you and want to give you a jumpstart on the school year. 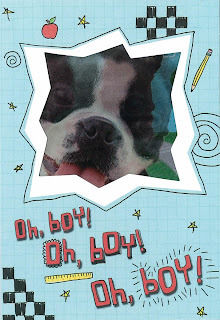 *BONUS* Hallmark Recordable Storybook - Recordable Storybooks allow you to record your voice, and your little ones can read along with you even if you’re far away. 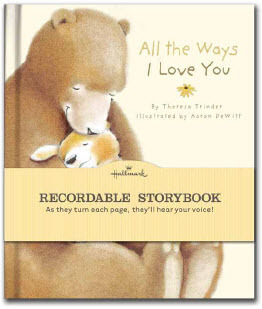 They are also great for encouraging your kids to read and building confidence for reading aloud! Print your Quiznos coupons before they are gone! Decoding Coupon Barcodes - Is It Wrong? I was shopping in Harris Teeter yesterday and ran into an interesting situation. Because I am often recognized at the stores, people always ask me questions. I am more than happy to help. However, when I have to tell someone their doing something "Wrong" I feel bad. I had to deal with that yesterday. First of all, I was asked if there was a way to read the coupon bar code to see if they can use it on other products than what it was intended for. I answered "No, I don't teach that practice". Then I was informed that a customer in the store told them about it and was doing it regularly. I was a little upset about this. Practices like that is the reason stores are tightening up their coupon policies and making it harder for us to get great deals. Simply put, it is deciphering the bar code on a coupon to see if it will work on different (preferably less expensive) items. Look at coupon barcode decoding this way: It is like using counterfeit money to pay for your purchase! Although the cashier may not notice you are paying with a counterfeit bill, it will eventually reveal itself and the store looses out. A coupon is a form of payment and by not getting what the coupon says it is for is the same as paying with counterfeit money. So, please read your coupons, get exactly what it says it is for and follow the parameters given by the coupon. Please don't use the barcode to determine what you can get because you know the register won't beep. Just because the register does not beep, does not mean that it is OK. There are plenty of other websites and blogs that teach this practice and believe that it is OK. Please Be Aware! They believe they are right and have no problem teaching others to do the same. Taking advantage of a glitch in the bar code to get around the text of the coupon is fraud.